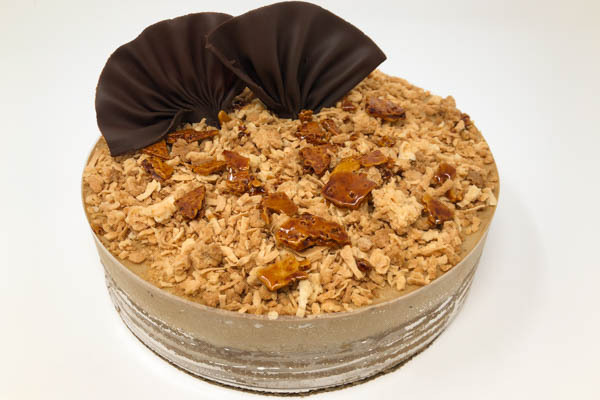 A rich creamy mousse cake layered with white chocolate and dark chocolate mousse. 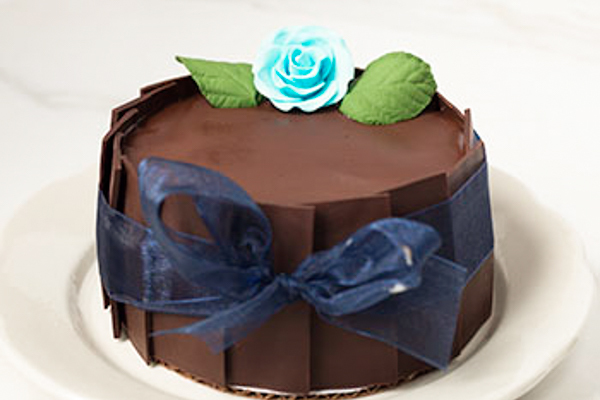 Covered in rich chocolate ganache and decorated with chocolate squares around the sides, tied with colorful ribbon and a gum paste rose to match. 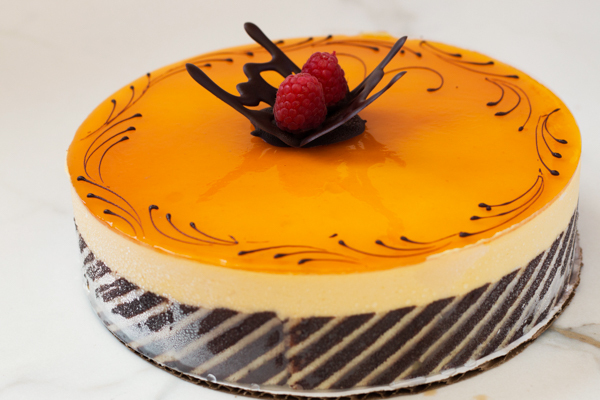 Made with genuine Belgium chocolate and crème de cocoa Liqueur.